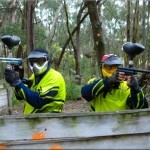 If you are looking for some good old manly fun, laser combat is the activity to indulge in. Discover the hero in you by playing SWAT, FBI or some other detective type mission. You will be provided with full camouflage as well as assault vests and will be able to take part in some real combat scenarios. With the dense cover and the diverse barricades, you and your stags will be forgiven to think that you are in a real battle field. If this does not get your adrenaline surging, nothing ever will. Those terrible hunger pangs in the morning will be silenced by a gourmet breakfast fit for a king. There is a large menu with a wide range of mouth watering delicacies, from some exclusive menus to the local favorites; you will be spoilt for choice. Picture a beautiful summer day, the early morning sun shining brightly as you and the boys indulge and enjoy the beautiful scenery in a classy Belfast hotel. You have something to look forward to in the morning. You cannot, repeat- cannot, spend the last minutes of your bachelor hood holed up in your hotel room; that is just plain absurd. Go out and sample the best of Belfast nightlife. With VIP entry into the nightclub, you can be sure you will be accorded world class treatment by the highly qualified staff, so you can sit back, sip an expensive drink (or gulp, whichever you prefer) and enjoy a relaxed atmosphere in the company of your friends.